Quad treks are now available to book 7 days a week - all year round! Treks run at various times throughout the day and are adapted to suit all levels of ability, there is something for everyone whether a corporate event, family day out or a bunch of friends looking for fun and adventure! 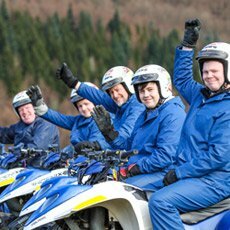 Highland Offroad is also a centre of excellence for 4x4 and ATV Professional Driver Training. Contact us to find out more. 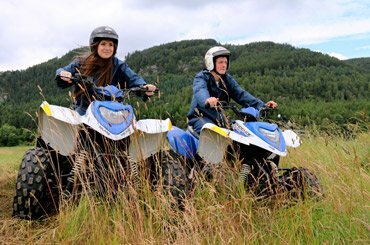 Make a Quad Trek with Highland Offroad a top priority when visiting Dunkeld, you will not be disappointed! All year round activity, rain or shine. 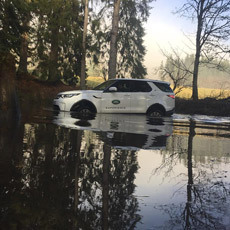 A fun-filled off-road driving adventure with Land Rover Experience Scotland. Experience the thrill of off-road driving in the latest Land Rover models. Highland Offroad and Land Rover Experience Scotland will help you organise an exciting and unique event tailored to your groups requirements. 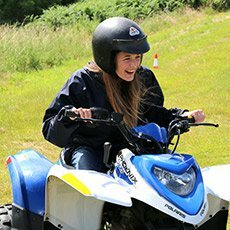 Quad Trek: Gift Vouchers for Quad Treks offer the perfect present solution, especially for someone who enjoys getting a little closer to the ground on an adventure. 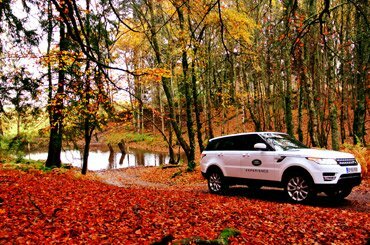 4x4 Off-Road Experience Gift Vouchers: Make memories and purchase a Land Rover Experience Scotland Gift Voucher. From £110 for up to 3 drivers. 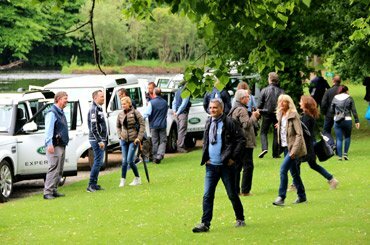 Corporate Events: Treat your staff, build on communication and arrange a fun day of off-road activities including Land Rover Experience and quad trekking.